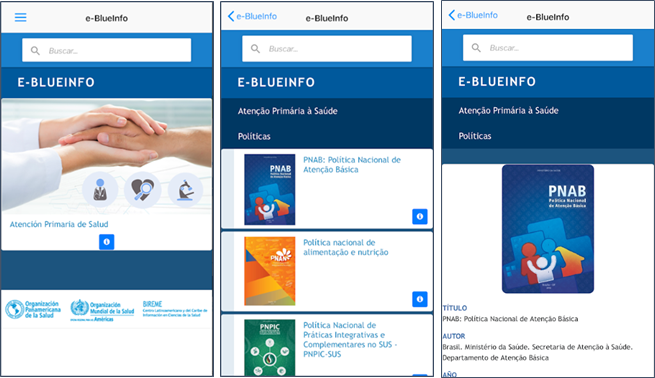 BIREME/PAHO/WHO launched the e-BlueInfo application for mobile devices (App) during the tenth Regional Congress on Health Sciences Information (CRICS10), which took place in São Paulo, Brazil, on December 4-6, 2018. The App is an Information Platform for Health Practice which places information in the palm of the hand of health professionals. The objective of e-BlueInfo is to decrease inequity in access and use of scientific information and evidence oriented to health care services through an application that facilitates and speeds up access and use according to the different fields of action in health. The name e-BlueInfo was inspired by the World Health Organization’s (WHO) “Blue Trunk Libraries” initiative, created to bring information to health centers in districts of Africa that lack updated medical and sanitary information. 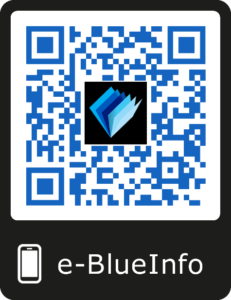 The e-BlueInfo is free and available on Android and iOS platforms. 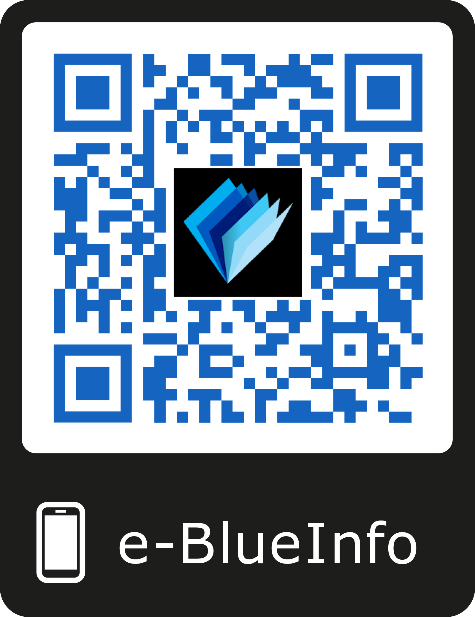 To download it, scan the QR Code below or search for the work e-blueinfo on Google Play or App Store. The contents of e-BlueInfo come from information sources of the Virtual Health Library (VHL). In its initial version, it consists of two collections of documents dedicated to primary health care professionals from Brazil and Peru, selected by teams from the respective Ministries of Health. Among the Brazilian documents, policies, guides, manuals, protocols and other types of publication can be found. From Peru, bulletins, administrative and sanitary guidelines, as well as guides and technical regulations are available. According to Alicia Ríos Terrones, BS, from the Office of Information Management of the Ministry of Health (Minsa) of Peru, “the successful development of e-BlueInfo, presented by BIREME, constitutes a valuable instrument for consultation. Its agile design, functionality and data storage are noteworthy, along with other features. Presently, there are approximately 200 updated documents on e-BlueInfo, which are progressively augmented. It is being diffused on the Minsa VHL Portal, through institutional diffusion releases, as well as in the next communication plan for diffusion in national health establishments”. Furthermore, “the implementation of the App, within the framework of the Memorandum of Understanding for Cooperation among PAHO/WHO and Minsa, represents a valuable experience of collaborative work with BIREME/PAHO/WHO. This has required the dedicated participation of the professional team from Minsa organs; the elaboration of a work plan, formats and criteria for inclusion; the revision of pertinent technical and normative documents according to technical norms, directives, technical guides, clinical practice guides, bulletins and health priorities; collection of morbidity statistics; title reception and selection; work meetings; APS talks and teleconferences with BIREME; as well as the insertion of content in the Information Management System Fi-Admin of the Minsa VHL, with previous installation and training”. According to Rita Paola Calixto Cuya, Information Management Consultant for PAHO/WHO Peru, “working with the Ministry of Health in the guidelines for the collection of information and integrating the competent organs in the e-BlueInfo project has been fruitful and enriching work. In each of the work meetings the importance of having an updated and easy-to-access information system became clear. We hope the participation of Peru as a pilot country for the development of this instrument directed to Primary Health Professionals will inspire other countries to join the project. The challenge is to continue amplifying the necessary information for the first level of health care and to reach more users with the App. The governance of e-BlueInfo, in the implementation phase, will be composed of: a Management Committee, which will be responsible for managing maintenance, development of new functions and response to the needs of the App’s target public, thus guaranteeing alignment with the objectives of the initiative and its sustainability; a Technology Committee, in charge of managing technological development and technical support for the App, according to the definition of priorities and decisions of the Management Committee; and a Local Content Committee, which will be responsible for curating the content published on the App, guaranteeing that it is updated and answers to the needs of practicing health professionals from the national health system. The topic of access to reliable information and knowledge exchange in health through the good use of information technology and communication has been considered essential for the development of health in the Region for many decades. The massification of smartphones generates opportunities that may collaborate largely in decreasing inequity of access to health information; e-BlueInfo is inserted in this context in favor of the democratization of access to knowledge. BIREME/PAHO/WHO is in coordination with the Technical Units of Health Systems and Services of PAHO/WHO Representations for the content selected by the Primary Health Care teams of the countries using e-BlueInfo to be suitable. The incorporation of collections of content dedicated to the health systems of Guatemala and Honduras, as the next countries to become a part of the project, is currently in discussion phase.